Our CS:GO guide to the best players in the world 2019 highlights our pick of the best professional players in the game. While the majority of professional CS:GO players deserve serious respect for their impressive skills, there are a select few who stand head and shoulders above the rest, reaching true legendary status. CS:GO may be a game that relies on the lightning reflexes, solid communication and synergy of a strong team, but that doesn’t mean that individuals cannot shine in their own rights. This article contains additional reporting by Emma Matthews. We'll update this list as the year progresses, so stay tuned for updates! A first-class champion at the recent FACEIT Major in London 2018, Nicolai ‘dev1ce’ Reedtz almost didn’t become the professional CS:GO player that we know him as today. Initially very interested in both Counter-Strike and Badminton as his two main hobbies, it was actually a knee injury that pushed him to knuckle down and focus entirely on CS:GO. Since joining the scene, he has played for a number of teams, most notably Team Dignitas, Team SoloMid and his current team, Astralis. Widely respected for his proficiency with the AWP, dev1ce is known for holding tight angles with the sniper rifle, as well as hitting incredible no-scopes. These skills were recognised by his recent reward of MVP (Most Valuable Player) at the 2018 FACEIT Major. His anticipation of others’ strategies and positioning, combined with his confidence and game-sense render him a force to be reckoned with on most maps. While dev1ce’s natural talent is obvious, he also takes training very seriously and has matured considerably over the past few years. Reportedly difficult to control earlier on his career, dev1ce has grown into a more disciplined CS:GO player with his experience and understanding of the game elevating his value as a team member. Fresh from his major win, it’ll be exciting to see what he achieves next. With an impressive record of personal achievements in 2017 and 2018, Nikola ‘NiKo’ Kovač’s recent performances are certainly enough to secure him a top spot in our list of world players. Providing consistent displays of devastating one-taps that can shut down a round in a matter of seconds, NiKo is a highly skilled rifler and is also known to be pretty handy with a Deagle too. Demonstrating near-perfect crosshair placement, NiKo’s inspiring headshot percentages usually rest around 50%, even across multiple tournaments. His pinpoint accuracy sets him apart from others as he can take out multiple targets quickly and efficiently. At just twenty-one years old, NiKo has already achieved great heights, despite his youth. As a member of mousesports he showed his determination in holding up a struggling team, proving that he could carry others, even at the highest level of CS:GO play. At IEM Katowice 2016 he finished with a K-D (Kill - Death count) of 42-28, narrowly missing what would have been a groundbreaking victory against Fnatic. After exhibiting his talent in his two years with mousesports (2015-2017), he was picked up by FaZe Clan in February 2017. His current team is arguably a much better fit for his skills as a rifler, with his other team members slotting into other specialist roles. Often referred to as the ‘Godfather of Brazilian CS:GO’, Gabriel ‘FalleN’ Toledo is well known not only for his ridiculous AWPing skills, but for also playing a major part in building a strong Brazilian CS:GO scene. 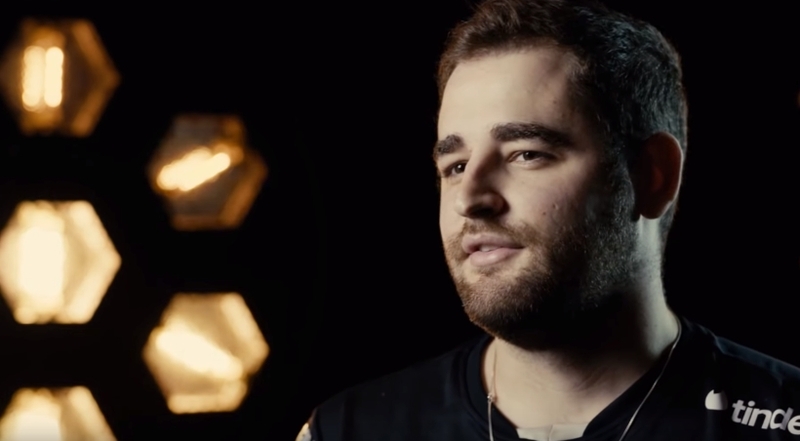 FalleN is a widely respected member of the CS:GO community, renowned for his skills as a calm and collected in-game leader (IGL). Owning the AWPer role, FalleN is MIBR’s designated sniper as well as their IGL. These two roles are not usually combined as it takes a lot of concentration to perform either of them, yet somehow FalleN has managed to do this for several years. You could make the argument that some other players are technically better than FalleN with the AWP, but when it comes to showing up in the finals of a major, FalleN is always incredibly consistent. With eSports experience in both Counter-Strike 1.6 and Counter-Strike: Source, FalleN has been a part of the CS:GO eSports scene since 2013. 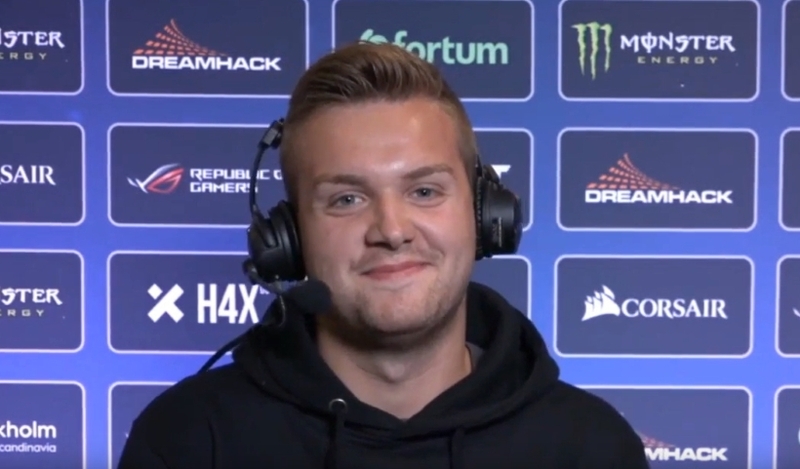 Praised for keeping a cool head and working well with his team under pressure, FalleN has won a number of tournaments. His most notable achievements include back to back victories at ESL One Cologne (2016 and 2017) as well as victories at the ESL Pro League (Seasons 3 and 6) and the Esports Championship Series Season 3. While FalleN is the oldest player in our top five list, his experience, game sense and quick reactions in CS:GO all make him a top world player. His consistency over a long period of time has certainly cemented him as one of CS:GO’s most memorable players. In addition, his efforts in creating his own team and encouraging others’ involvement in eSports through his Game Academy have had a huge impact that has no doubt shaped the eSports scene that we have today. When you take into consideration the teams Oleksandr ‘s1mple’ Kostyliev has played for, in addition to the high level of competition at all levels of CS:GO, you’d have a difficult time suggesting s1mple is anything but the best CS:GO player of all time. If you take a look at the HLTV stats for 2018, there aren’t many players who come close to the outrageous ability s1mple has. No matter what weapon he has, s1mple always finds a way to make himself the biggest threat on his team. 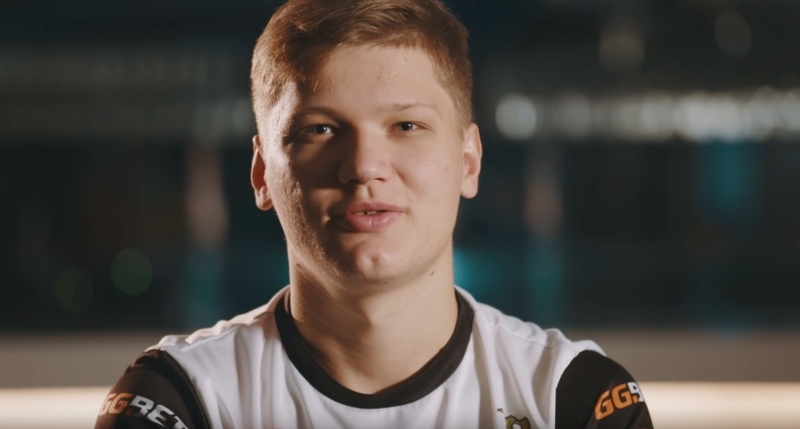 At only twenty years old, CS:GO spectators have witnessed s1mple grow up throughout his four year career. There was a time where s1mple’s toxicity saw him bouncing from team to team without any consistency. You can see how much s1mple has changed by comparing past matches from his time at Team Liquid to present day NaVi - it’s like watching a different person. For the past two years, s1mple has been playing under NaVi as both an entry fragging rifler and an AWPer. Entry fragging requires you to play without fear while being cautious of the enemies that may appear. s1mple is such a threat that most teams find themselves targeting him specifically to ensure he isn’t a problem. As an AWPer, s1mple has been immortalised on Cache where he landed two unscoped shots with the sniper rifle against Fnatic during 2016’s ESL One Cologne Major. The one thing that eludes s1mple compared to the other players on the list is the lack of a major win. NaVi were not able defeat Astralis during the most recent CS:GO Major that took place in London during September 2018. As we mentioned earlier though, s1mple is still only twenty years old, giving him plenty of time to work towards achieving his first major win. Just like s1mple, Marcelo ‘coldzera’ David grew up with his older brother pushing him to become better at Counter-Strike. After receiving an invitation to travel overseas to play in a competitive CS:GO team, coldzera’s father initially refused to let him go. It took a conversation with FalleN to explain that this was a once in a million opportunity, before he was finally allowed to chase his dream. It’s not only coldzera’s aim that sets him apart from every other player, it’s his incredible decision making that makes it seem like he knows exactly where the game is going. While his role for MIBR is technically an AWPer/Entry Fragger, when you watch him in-game you may struggle to spot exactly what he’s doing. 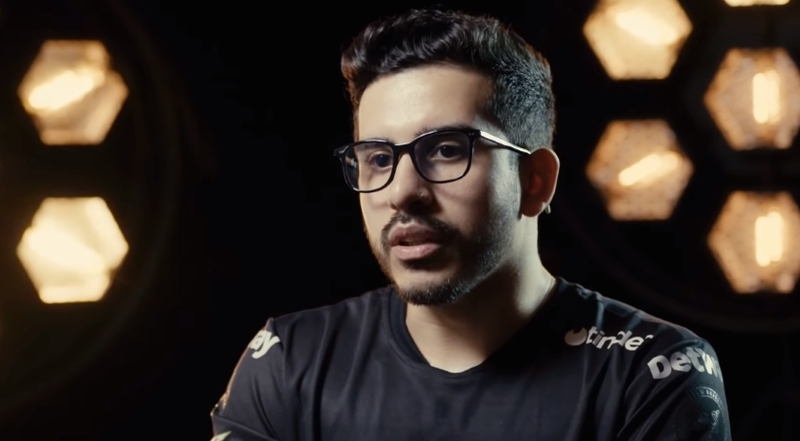 When you’ve got a player on the level of coldzera - who is able to read the game unlike most people - they usually occupy a free-roaming role where they are able to do what they feel is the correct decision. One of the biggest upsets in CS:GO history occurred thanks to a genius play by coldzera during the MLG Major Championship: Columbus in 2016. Team Liquid were at match point on Mirage against Luminosity Gaming (LG). As Liquid rushed bombsite B, coldzera picks off one as they reach the apartments, then manages to land a jumping no-scope shot that kills two players, before pulling off another no-scope to kill the forth enemy. This round was so crucial for LG that it crushed Team Liquid’s confidence, allowing them to come back from 15-9 to eventually winning the entire tournament. Statistically in majors, coldzera is the best player in CS:GO history thanks to his ability to remain consistent no matter how much pressure there is. With an amazing team behind him, coldzera is able to dominate in a fashion that few CS:GO players are capable of achieving. There are plenty of other teams and players who we've missed out from this list, but it wouldn't be right if we didn't at least acknowledge a handful of those who stand out from the rest. 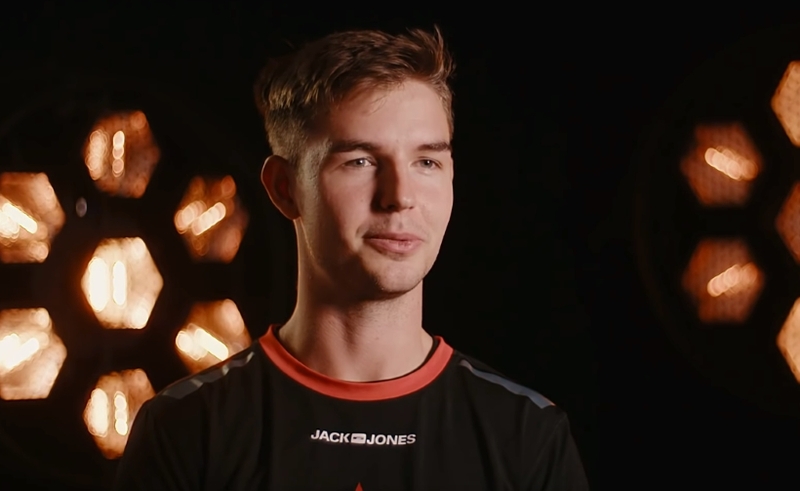 We've highlighted dev1ce at the top of this article, but every player on team Astralis deserves a shoutout. They're currently unstoppable right now and are each playing at a phenomenally high level. Finnish side ENCE had a showstopping run at IEM Katowice 2019, so they're certainly a side worth keeping an eye on. It wouldn't be a best players list without AWPing superstar GuardiaN. While he's not had quite as much impact in 2019 as he did last year, he's still undoubtedly one of FaZe Clan's most valuable players.